“soratama 55 for WG” includes soratama device from “soratama SP”, extension tubes and step-up ring. This kit enables you to take soratama pictures with your RICOH WG-50, WG-40 and WG5GPS. “soratama 55 for TG” includes soratama device from “soratama SP”, extension tubes and step-up ring. This kit enables you to take soratama pictures with your Olympus STYLUS TG-4/TG-3 Tough. 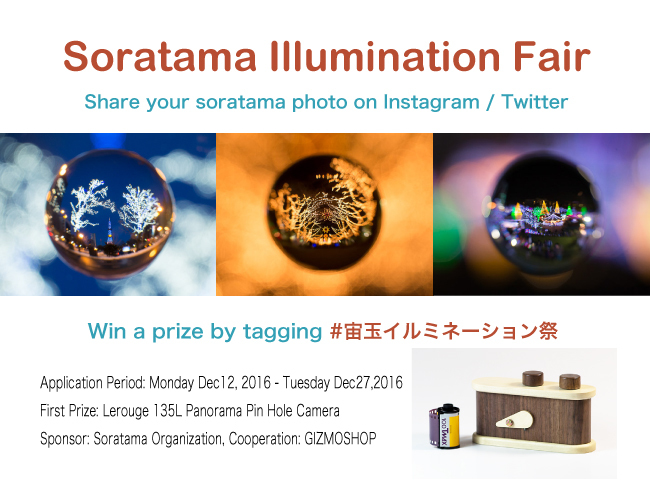 We are holding a contest for Soratama photos of illuminations. 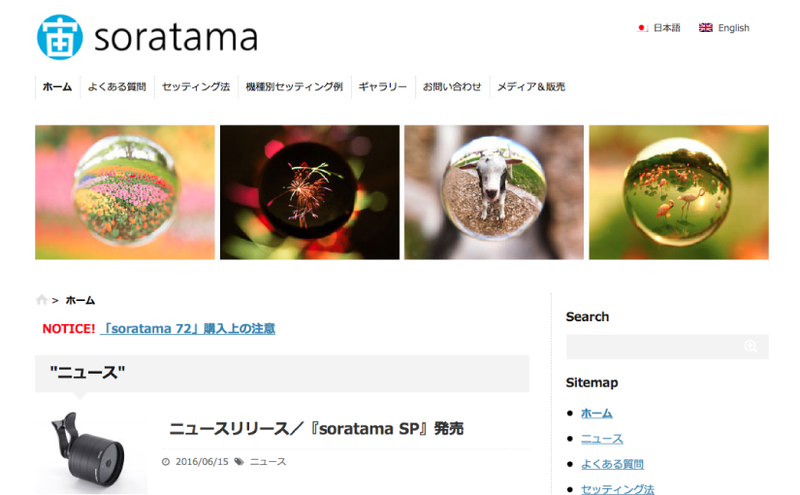 “ESL-TG4 Soratama” is an authentic soratama lens which was designed and developed by Epoque World co.,ltd, specializing in underwater photographic equipment. The underwater housing’s waterproofness expands your soratama photography to the deep underwater world. 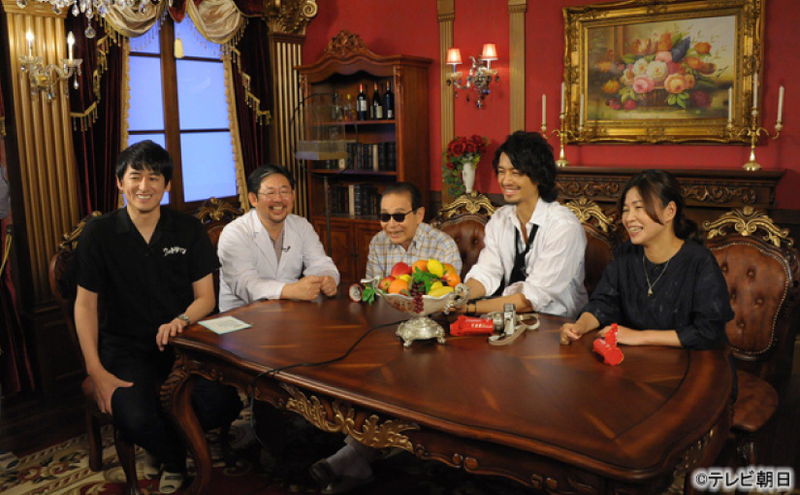 Tamori and Takumi Saito make a special photographing device to take photos of Kayoko Okubo for her marriage meeting. 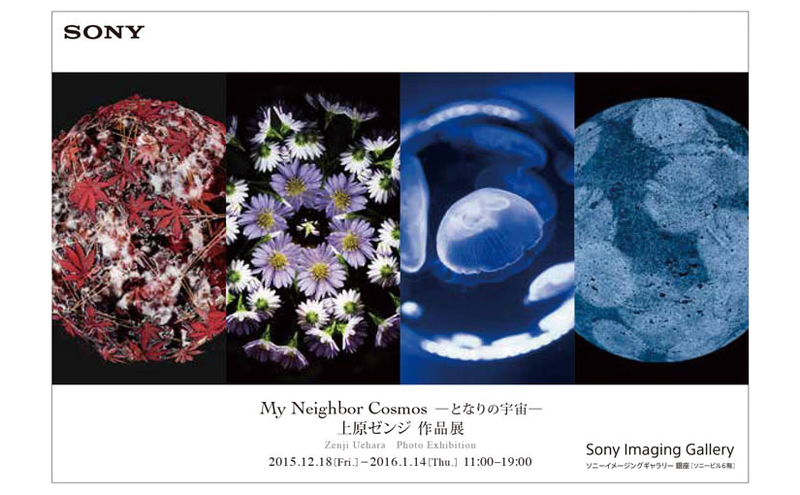 Zenji Uehara, the experimental photographer, helps photographing with soratama lens. He teaches the mechanism of the lens and how to take photos with it. Tamori and Saito announce their best shot in the end. 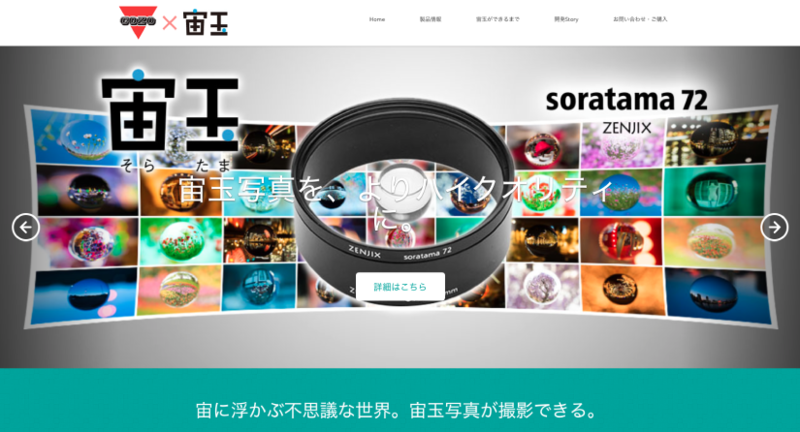 COZO FILTERS CORPORATION, the factory which manufactures soratama 72, has opened a website for soratama. The process for manufacturing soratama 72 has been introduced. It is quite interesting website!! For more information, please check the Sony Imaging Gallery page. 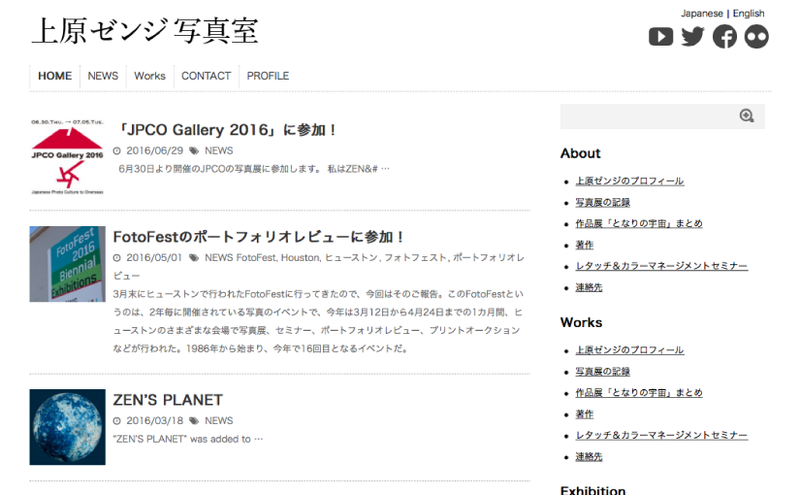 Check out Zenji Uehara’s page to see when he will be at the gallery. ZENJIX brand was created to make photographing devices designed by Zenji Uehara into products. 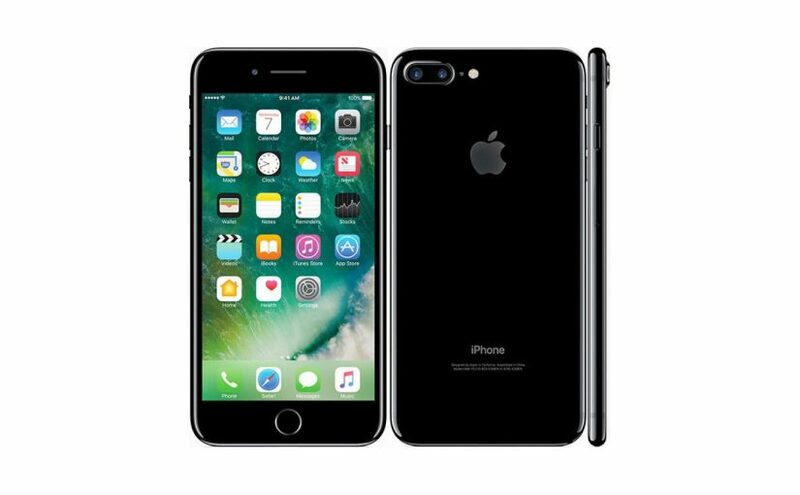 Products of ZENJIX and licensed products are introduced on this website.